Black is one of the most classic and desirable hair colours to work with. Glossy, shiny and deeply dark, it is very often we see girls opting for black when dying their hair. However, we think that black as a hair colour also compliments a range of different other colours, allowing you the freedom to be creative and daring with your hairstyle. Here are some of our favourite sassy ombre hair ideas, combining different bright colours with black to create a look to really be proud of. Another wonderful and long hairstyle to add to our collection! 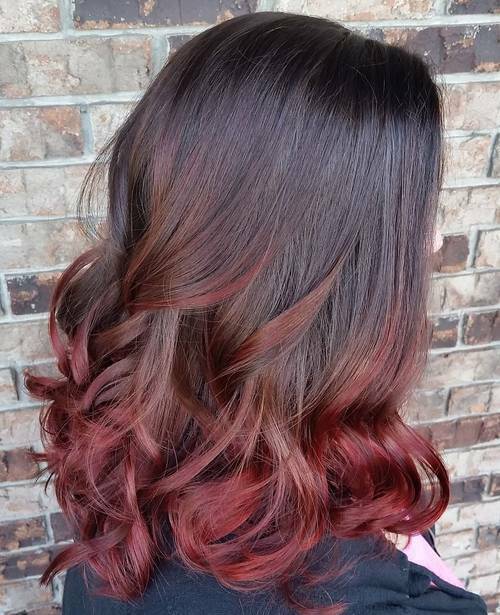 This lady’s hair is of incredible length, falling down her back beautifully as it blends from black to a dark shade of red which is oh so striking. She’s worked romantic and tight ringlets from around the ear length down, which show off the change in colour absolutely beautifully! This wonderful and shiny graduated bob has simply stolen the hearts of our office – we adore this super chic and stylish look. Her hair works from longer at the front to shorter at the back, with an amazing centre parting meaning the style is totally symmetrical. It blends from black to a glossy copper toned brown, and is full of curls for a striking bounce. 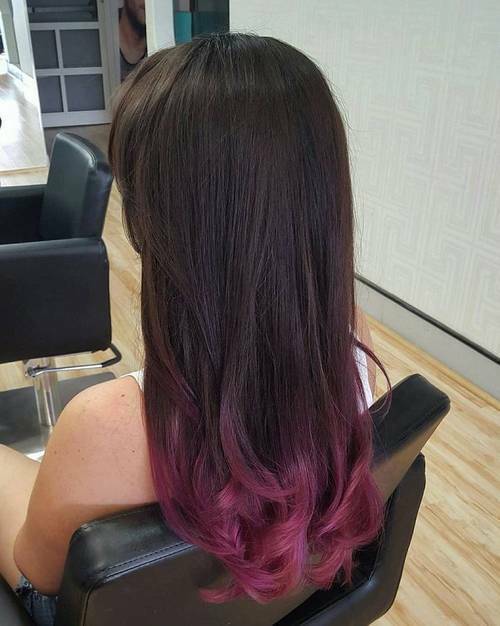 This lady has the most stunning thick and long hair – we’re pretty envious indeed! These gorgeous locks fall ever so slightly below the shoulder, and are parted in the centre for a symmetrical finish. Blending from black to a stunning chestnut brown, this lady has showed off the change in colour by working a loose wave throughout the ends, adding texture to the style. This look blends black with a range of colours – for a stunning end result that we can’t get enough of! The roots are a deep and dark black colour, working quickly into a silver shade which melts into a lovely and vibrant shade of lilac. This fashionable female has curled the ends from around the ear length down, to really blend this beautiful mixture of colours together. This lady is blessed with utterly beautiful long locks which fall at waist level in a gorgeous straight and sleek style which is simply to die for. 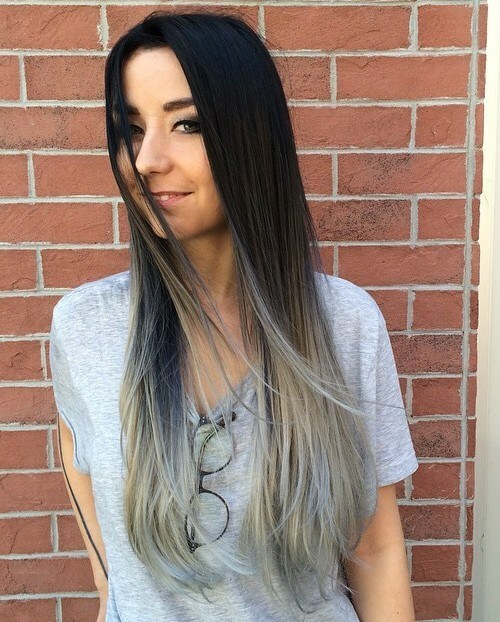 Her hair blends from the deepest shade of black to a totally trendy silver hue with a slight touch of pastel blue – a unique colour combination which we think looks incredible. 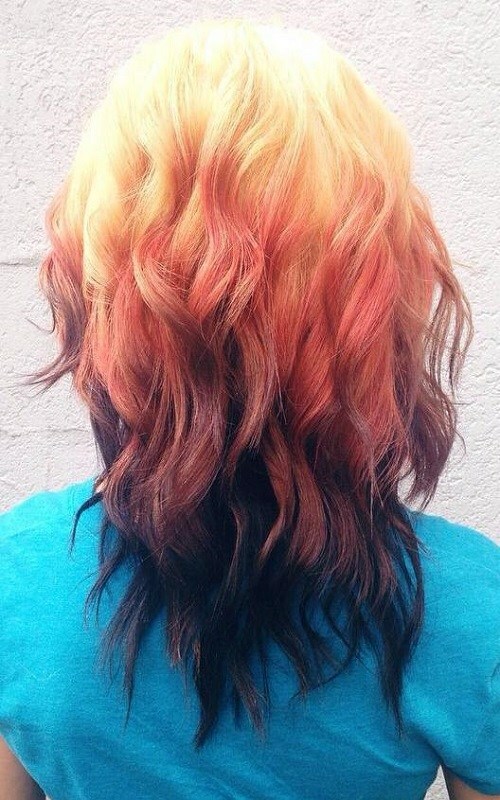 We adore this ombre blend! This is one of the more natural black ombre looks as part of this gorgeous collection – but by no means any less special than the more bold ombre blends we’ve showcased! 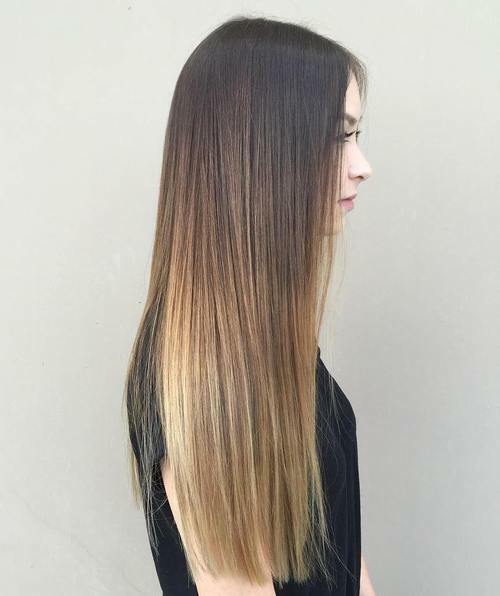 This hair works from black at the root through to a rich chestnut brown, and finishes at a gorgeous golden blonde, showed off perfectly thanks to this straight and sleek style. This beautiful hair is long and thick, falling several inches below the shoulder and cascading down this stylish lady’s back. Working from a deep, dark and glossy black at the root quickly into a vibrant royal blue, the ombre transition blends these colours together perfectly. The hair is finished with romantic curls from top to bottom, creating the ultimate evening look. 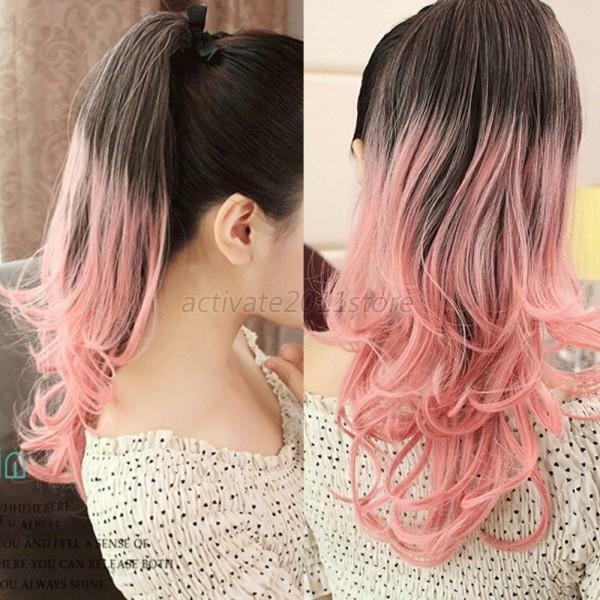 Another beautiful long hairstyle which has the Styles Weekly office swooning – these lovely long locks blend from a glossy black to a wonderful and dusty pink at the ends, adding light and lift to the style. Her hair is straight and sleek, until the ends, which she’s curled to add a bouncy finish. The style also has a soft side fringe to frame the face. This wonderful long bob falls just around the shoulders and is styled to perfection – just perfect for a night out or special occasion! 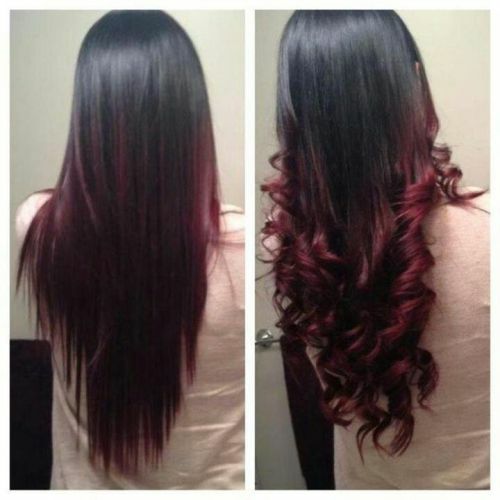 The hair uses the ombre transition to go from black to a deep and dark red in a seamless blend, and the ends have been curled to create this incredible bouncy and glamorous end result which we can’t get enough of. This absolutely beautiful lady is incredibly lucky, as she’s blessed with equally beautiful hair! 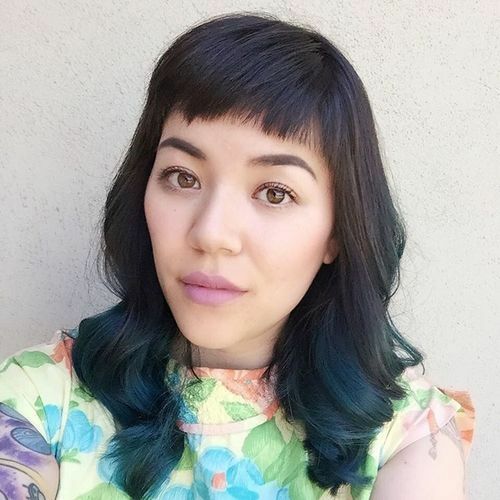 It falls just below the shoulders, and works from a lovely black to a dark teal colour at the tips, utilising the ombre technique perfectly. Her hair is finished with a short and choppy fringe across the forehead, and worked into ringlets from the ear length down. 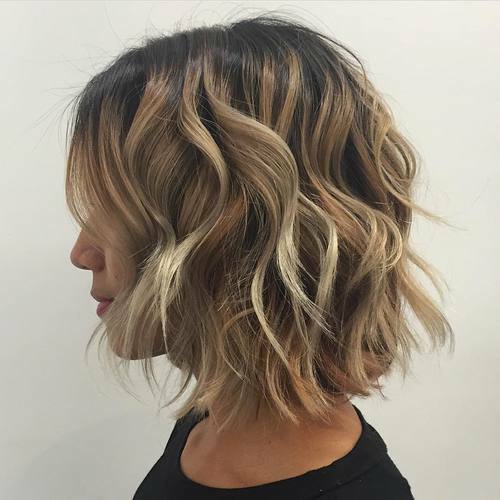 This gorgeous jaw length bob is brought to life by the amazing ombre transition that blends black and bleach blonde together, seamlessly working from one colour to the next in style. The bob hairstyle is tousled and curled for a rugged bounce and a look full of volume, simply perfect for a day to night transition. We adore the flicked ends and relaxed style! 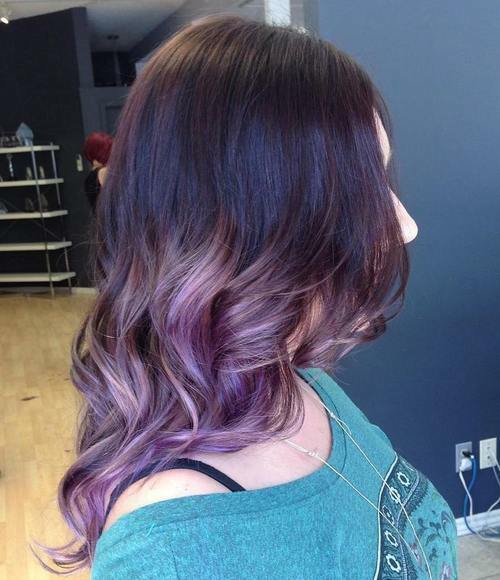 Find more balayage hair color ideas here. 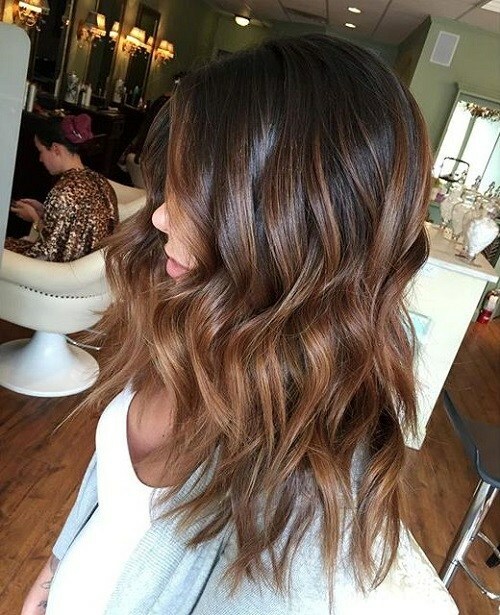 Everyday ombre hairstyle ideas for women: This incredibly fashionable lady has the most utterly gorgeous long and thick hair, which falls an inch or so below shoulder length and looks utterly stunning. The hair has been loosely curled throughout, creating the most wonderful and glamorous silhouette. The hair works from a glossy and dark black to a wonderful light brown. This hair is gorgeous, glossy and oh so thick – the Styles Weekly office are incredibly jealous! Her wonderful shoulder length hair is so full of volume, not least because of the glorious barrel curls added throughout the hair. It starts as a glossy black at the root, blends into a red towards the mid section and is finished with stunning white blonde tips. If your hair is lovely and long, why not work a beautiful ombre transition into the style to add light and lift to the length? 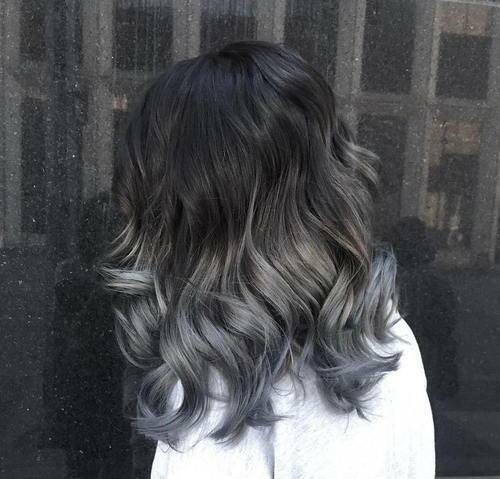 This lady shows us how it’s done perfectly, working her locks from black, to an icy blonde and finishing with a gorgeous shade of grey at the ends, which is so perfectly on trend on the fashion scene lately! Finished with ringlets, this style is night out ready. 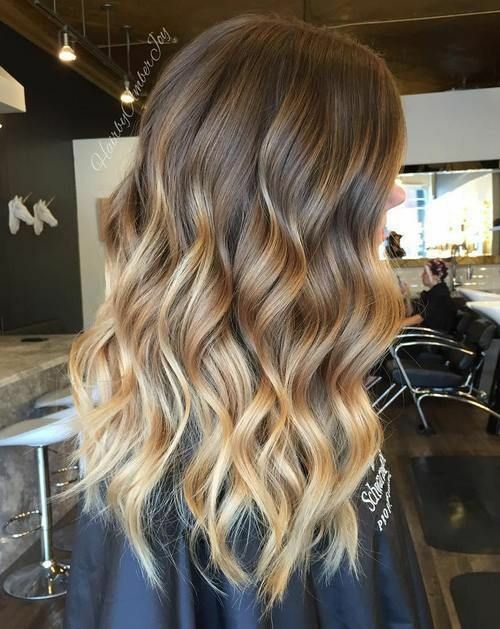 If you love this style, you may also love these balayage hairstyles. 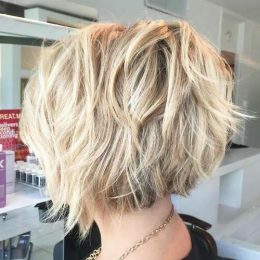 Short Ombre hairstyles for women: This utterly stunning long bob falls around the shoulders and is finished with a deep side parting, allowing the hair to sweep and fall gracefully. 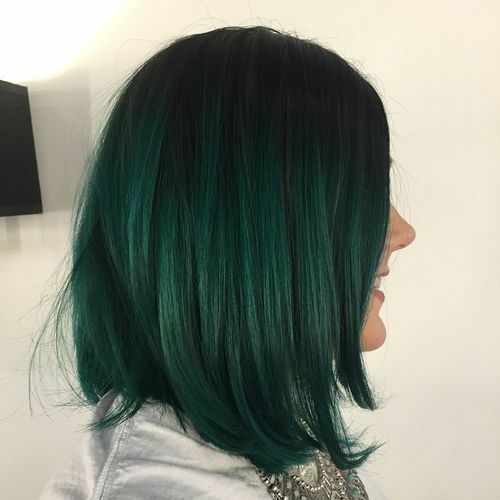 The ends are curled under to emphasise this incredible silhouette, and the short hair works from a deep and dark black to a beautiful and glossy shade of bright green, which is so unique yet utterly fabulous too. 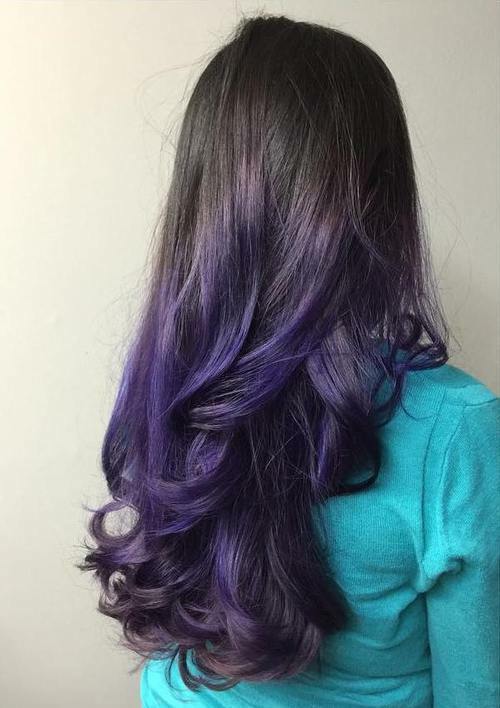 This absolutely beautiful lady has even more beautiful hair – if that’s possible! Her shoulder length locks are loosely tousled for a fabulous shape to the end of the hair, creating a fabulous catwalk ready look. 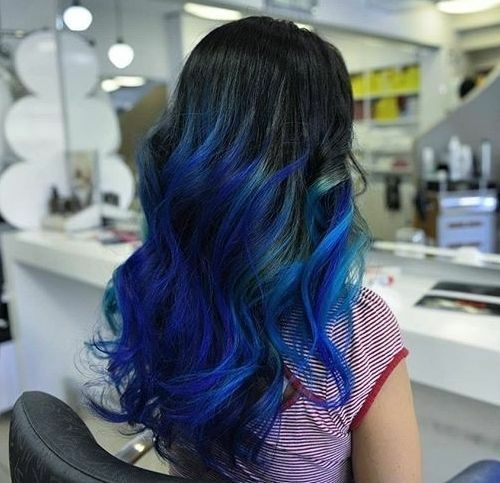 Her hair starts a striking raven black, which melts into a glorious and fashionable shade of pastel blue at the tips. We love this colour combination! Most of our ombre hairstyles in this gallery have started with black at the roots blending into a different colour, so we thought it was about time we flipped that on its head. This style starts a light peach shade, blends into a deeper copper tone and then finishes with a jet black at the ends. The hair is loosely curled from top to bottom for a fabulous finish. Another one of our favourite looks from this gorgeous gallery, we just simply cannot get enough of this amazing colour combination of black and deep purple. One colour blends to the other flawlessly, and the hair is straight, sleek and shiny. She’s curled the ends to add bounce and volume to the ends of the hair and create this impeccable silhouette. Another set of absolutely gorgeous long locks in this gallery – it seems black ombre styles suit long hair no end! 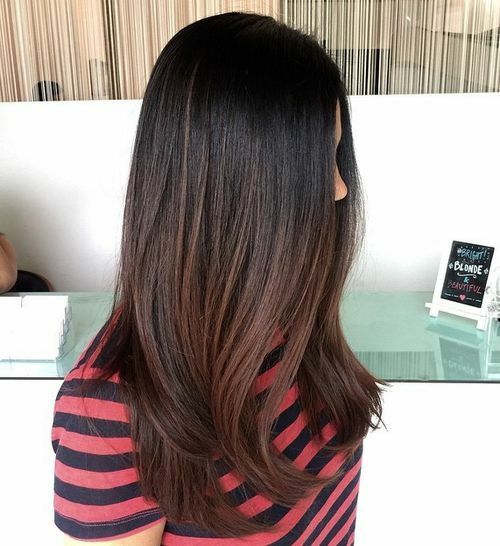 This amazing lady is blessed with luscious long hair which she’s transitioned from a glossy black into a stunning chestnut brown using the ombre technique. The ends are loosely tousled from around ear length down to create this incredible volume. 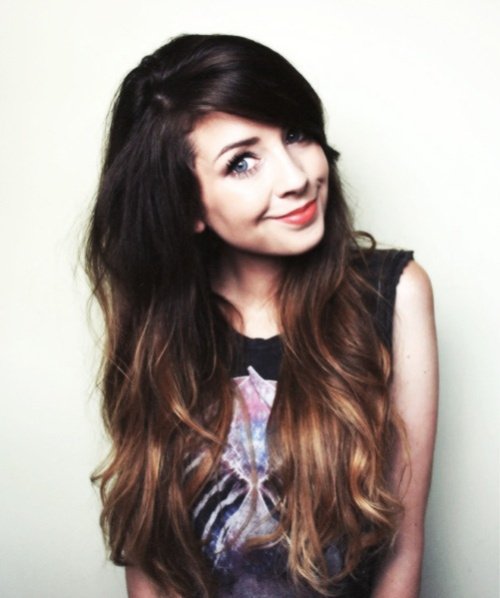 Gorgeous YouTuber Zoella is pictured above, rocking the perfect hairstyle for our impeccable gallery – don’t you agree? 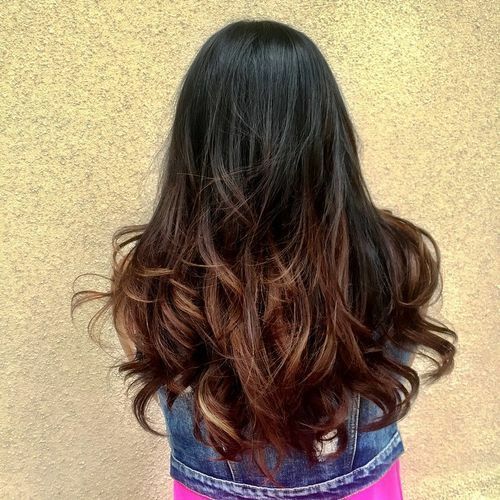 Her hair is long, shiny and so trendy, blending from a black to a light brown using the ombre transition. She’s finished her lovely look off with a sweeping side fringe, and curled the length of the hair into ringlets which look perfect. This lovely and fashionable lady has worked the ombre transition from black to red quite high up on the head, meaning the roots are black but quickly work into this gorgeous and vibrant shade of red. The hair cascades down the back in a lovely long finish, and has been worked into tight ringlets from top to bottom to bring it to life! 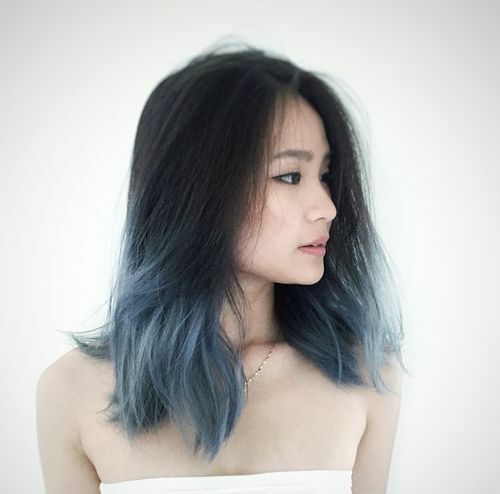 This utterly gorgeous and trendy ombre hairstyle uses a cool denim style effect to take the locks from black at the root, through to grey and finishing with this contemporary washed denim shade of blue at the tips. 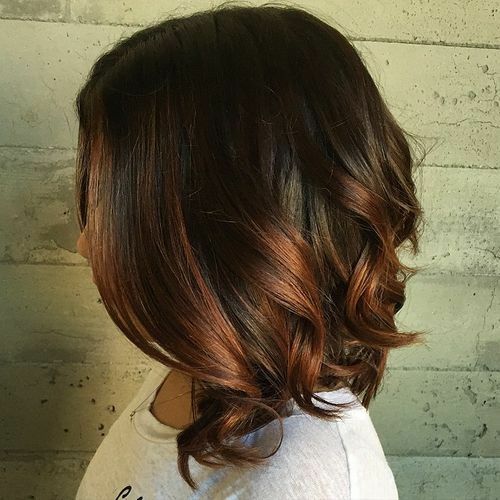 This shoulder length bob is full of curls, which shows off the change in colour just perfectly and creates the perfect evening look. We hope you’ve enjoyed our impeccable gallery of beautiful ombre hairstyles, and that we’ve proved black is so versatile and matches so many different hair colours. 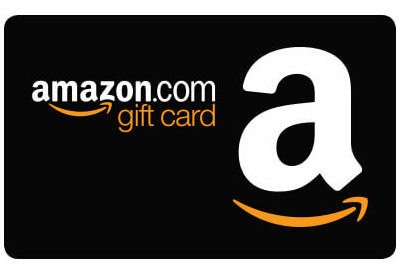 Let the Styles Weekly team know which styles you’d like to see us explore next! 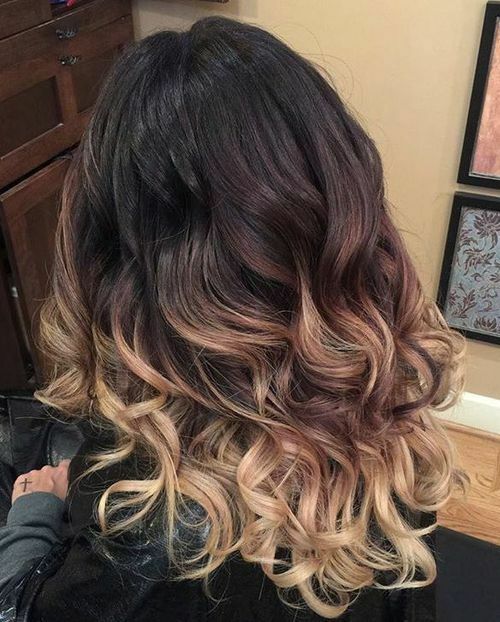 Btw, do you love balayage hairstyles? 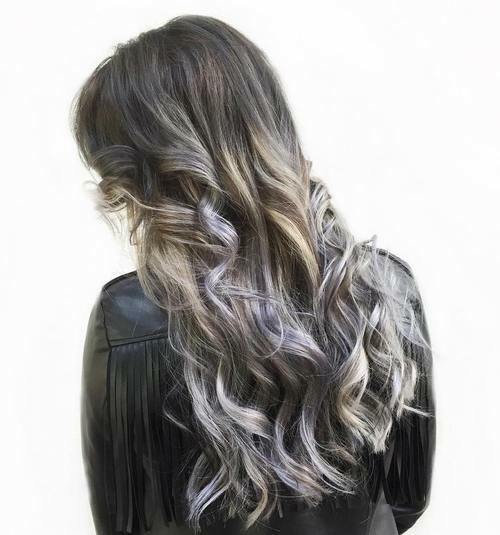 Get more balayage hair color ideas in this post.